CK Collection is an upscale designer boutique located in the heart of historic downtown Fairhope, Alabama. This award winning resort town is located beside beautiful Mobile Bay. It is a unique community with artists, restaurants, boutiques, and the 150 year old historic "Marriot Grand Hotel". Fairhope has the perfect mix of fashion, style, tradition and history to captivate the visitor. Our customer is a well-traveled and informed woman who depends on CK Collection to offer the most current fashion styles, trends, and designers each season. Only the best lines and the newest styles make it to CK Collection, so our customer needs to look no further to find the style she craves. 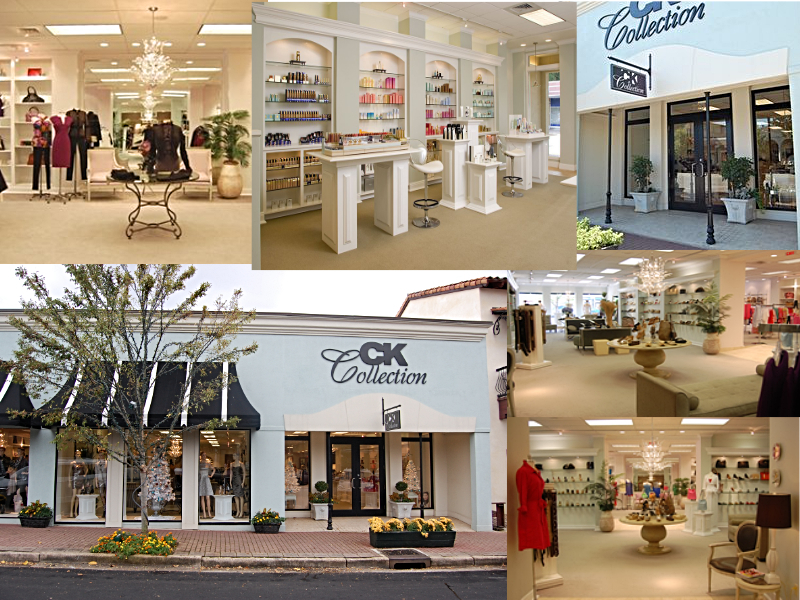 Opened in 1996 as a shoe boutique, CK Collection quickly expanded to 11,000 square feet for the complete shopping experience offering clothing, shoes, accessories, cosmetics and fragrances. With the expansion of a men's store in 2012, CK Men's, specializes in menswear, shoes and accessories. CK Collection has won numerous awards through the years. No other store in the state can boast the same quality of merchandise. Our attentive and knowledgeable staff will make shopping a pleasure!